Not Verified | New security equipment installed but nobody has a clue how to use it, so they check every bag, down to your last pen. Then just when you think it's all over, the check your bags all over again at the gate. Total mess with flights running late or even cancelled. Not Verified | Absolutely abysmal. Do not connect via Kuwait. Our flight was delayed with no prior warning. No one in the airport to consult. No screens showing which terminal to go to or how to get there. Avoid at all costs. 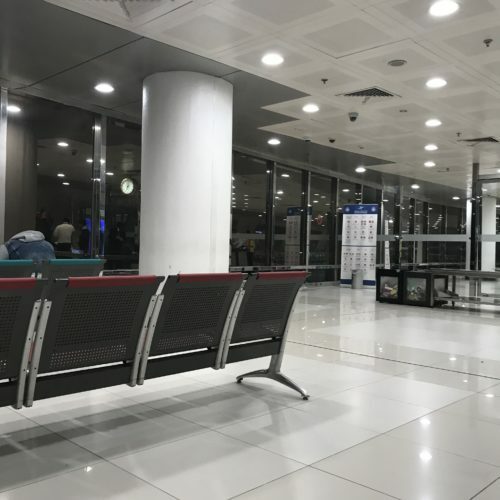 "This is the worst airport"
✅ Trip Verified | This is the worst airport I ever had. The staff at the check-in counter was very rude. I was flying via KLM to Bahrain. The airport was very crowded, arriving and departing passengers are meeting at the same place as there are bo designated walkways for arriving passengers. On the way to the waiting area, they have to scan again your hand carry luggage at the boarding gate. One will check your boarding pass before scanning, security will ask to remove shoes selectively. I would understand if they do this to all passengers but apparently not. They ask to remove laptop and ipad and it goes to the scanner. After scanning they will ask to switch it on. Then the security will check again the boarding pass. There is too much hassles in this airport. I would avoid this airport in my future travels and this is considered to be the worst airport I have ever been to. ✅ Trip Verified | I travelled for the first time with my wife via Kuwait Airways and would say that it was the worst experience of my life. It seemed like a never ending nightmare which will haunt me for some time. I am not sure if someone will even look at my complaint but thought that I should at least bring this to your attention. Major gaps in communication since I booked my tickets for the first time. Staff is non professional and rude. Cleanliness is zero especially the toilets at the Kuwait airport. Non compliant staff and they just misguide you about everything at the airport. It is chaos and I think the management needs to overhaul otherwise there might be no passengers left to fly. "None of the piers were in use"
Not Verified | Arrived at new T4, snag was we parked in the airfield and bus ride to the terminal took about 10 minutes. None of the piers were in use. Passport Control/Visa all in one place and relatively quick. Immediately beyond is hand luggage scan and then Baggage Reclaim and out past Red/Green Customs. New terminal all on 1 level but no taxis - there are signs but no actual taxis, there is a limousine service which is the only way to get out if you are not being picked up! Currently only used by Kuwait Airlines for some flagship routes but is clearly not fully ready for business. Most other carriers use T1 which has it's own charms depending upon the time of day you travel through it. ✅ Trip Verified | Terrible airport, terrible staff. Would not let me retrieve my baggage, claiming they would transfer to my next flight - nothing transferred and now they claim my bag never arrived in Kuwait and they have no record of the claim ticket I have for the bag. They are terrible, do not fly through or to Kuwait airport. 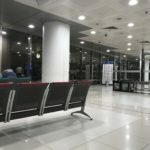 Not Verified | Had a 6 hour layover in Kuwait and to my pleasant surprise, was able to rest up and enjoy airport. Have seen some bad reviews but overall for me it was great. Airport was clean and had a variety of shops and restauraunts to choose from. Only issues were that the airport can get very crowded at times due to the small size and the bathrooms are a little dirty. Overall though, great airport despite the negative reviews. 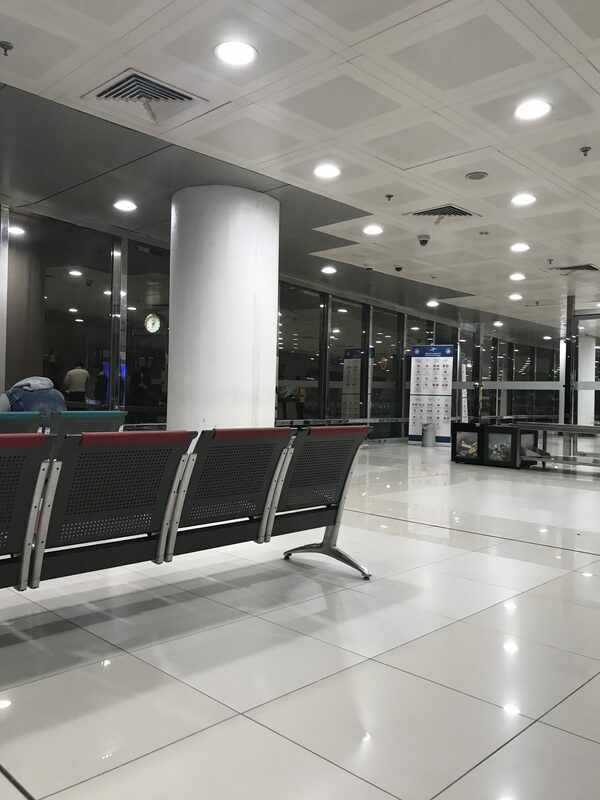 "cannot compete with the major airports"
✅ Trip Verified | Worst International Airport in the Middle East. It cannot compete with the major airports in Saudi, Qatar, Bahrain, Oman or UAE. It doesn't have Wi-Fi, toilets are dirty. Airport Personnel are not customer service oriented nor friendly. Their lounge does not have enough variety of food and drinks to offer and the only place you can connect to Wi-Fi. When boarding, you cannot even take any drinks you purchased from their stores. ❎ Not Verified | I stayed there for 5 hrs. Breakfast was good. We had to go to the first floor, the elevator was not working, everybody had to lift their handbag and go upstairs. It was quite difficult. Toilet was so bad, it was flooded with water, no soap, no toilet paper. Condition was pathetic.